Ethiopia's opposition reacted cautiously on Friday a day after the surprise resignation of the prime minister, warning it did not herald real change since the ruling party remains in power. Prime Minister Hailemariam Desalegn resigned on Thursday after weeks of anti-government demonstrations and growing splits within the country's ruling Ethiopian People's Revolutionary Democratic Front (EPRDF) coalition. 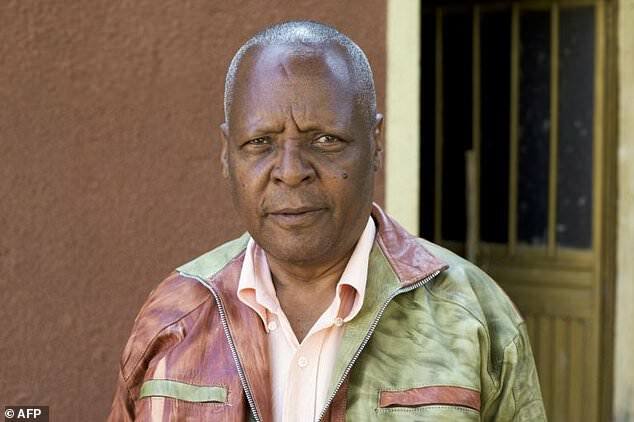 With the EPRDF and its allies controlling every seat in parliament, it is unclear what difference Hailemariam's departure will make, said prominent opposition leader Merera Gudina, chairman of the opposition Oromo Federalist Congress (OFC). "What the people are demanding is fundamental change," Merera told AFP, saying that Hailemariam's departure was a matter of internal party politics. "So the change of an individual is really the homework for the EPRDF, not the people of Ethiopia." However, Merera said he was "cautiously optimistic," that Hailemariam's departure could offer an opening for them. "There are, after all, possibilities... to move forward," Merera said. "The EPRDF as an organisation has a serious problem and really blocked the democratisation of the Ethiopian state and society -- and is really responsible for many of its crisis," he added. Hailemariam will remain in office until parliament and the EPRDF coalition confirm his resignation from the most powerful post in Africa's second most-populous nation. It remains unclear if his successor will be sympathetic to the protesters' grievances, or return Ethiopia to the authoritarian governing style of Hailemariam's predecessor Meles Zenawi, who led the rebels that ousted dictator Mengistu Haile Mariam in 1991. Merera was released from jail in January, when the government began pardoning and dropping charges against hundreds of prisoners including many high-profile dissidents. Hailemariam said it was a way "to improve the national consensus and widen the democratic platform". The OFC chairman's release was a key demand of dissidents from the Oromo people, whose campaign of anti-government protests that began in December 2015 are seen as a key reason why Hailemariam resigned. The protests were quelled after Ethiopia imposed a 10-month state of emergency in October 2016, but hundreds of people died in the uprisings, and violence continues to occur sporadically, particularly in the two protest hotbeds, Oromia and Amhara regions. Earlier this week, young men wielding sticks and stones blocked roads leading out of the capital Addis Ababa and businesses shut in Oromia.